The Idon, also called the Idong, live in the Kachia division of Kaduna state in Nigeria. 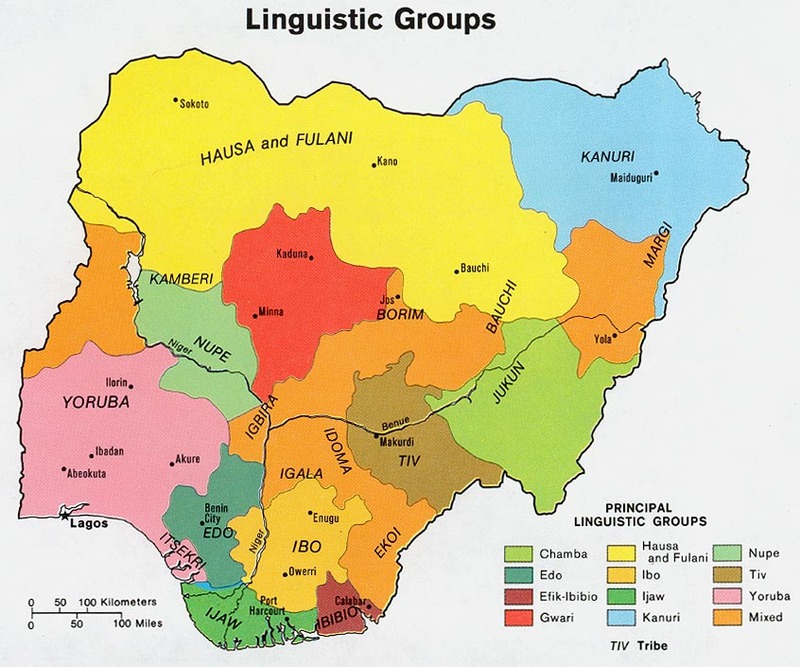 Since the Idon are closely related to the Iku of the same division, the two groups speak a similar language, derived from the Eastern Plateau cluster of Benue-Congo languages. The Idon and Iku share similar customs and religions. Islam was introduced by Fulani attackers in the nineteenth century. Kaduna, meaning "place of the crocodile," is a region flowing with numerous rivers. For this reason, the soil is rich and fertile in most of the area, making the Idon an agricultural people. The vegetation consists of low orchard bush with shade trees such as the silk-cotton, baobab, and shea butter trees. Deleb palms are numerous along river valleys and supply the people with such items as nuts, oil, and fuel. Much of the Idon region has become a source of danger to both man and animal because of the disease-carrying tse-tse fly. Like other savanna people in the Kaduna division, the Idon are subsistence farmers, growing millet, maize, guinea corn, and beans. Also, livestock such as goats, sheep, chickens, dogs, and horses are raised. Goats, sheep, and chickens are eaten, along with monkey and iguana, which is a delicacy. Dogs are used for hunting and for guarding the compounds at night. Fowls are used only for ceremonial purposes. The Idon engage in hunting, fishing, and some trading, but these are of lesser importance than agriculture. Each morning, after a light snack is eaten, the men of a household work in the fields until noon, when they relax in the shade of a tree and eat porridge brought by their wives. Another break follows around 3:30, after which time they will work again until getting ready for the evening meal that is eaten with their brothers and children. The women wake before sunrise and bathe behind the house. During the day, they prepare meals and help their husbands in the fields. Time is also spent going into the forests and bush in order to collect nuts, wild fruit, honey, and special plants used for medicines. Most of the small-scale trading is conducted by the women. Boys will help their fathers on the farm, spending some of their time chasing animals and birds away from the crops. Girls must clean dirty pots in the river and help their mothers prepare the meals and gather forest products. The older men of the village spend much of their day making sure that the young boys properly tend to the livestock. Often, much of their time is spent simply relaxing or sometimes weaving. The Idon live in compact villages, located either in the hills or in dense forests. Their houses are made of mud with grass roofs that cover the outer porch and granary, which holds the season's harvest. Each village is a clan community separated into extended family compounds. The village headman handles village affairs with the help of a council of elders. Although many Idon have become Muslim, most are ethnic religionists, still following their traditional religious practices and beliefs. They believe in evil spirits, but they do not live in fear of them. They pray to the sky god for health and prosperity. Many of their religious practices, however, center around ancestor worship (the belief that the spirits of deceased ancestors are alive and need to be fed and cared for). Rites of initiation into this cult are elaborate and very important to all Idon. Through this cult, ancestors are honored and worshipped. A majority of the people have never heard the Gospel. Further evangelistic work and prayer are greatly needed to impact these people with the Gospel. * Scripture Prayers for the Idon in Nigeria. * Ask the Lord of the harvest to send forth laborers to the Idon of Nigeria. * Pray that God will give Idon believers boldness to share Christ with their own people. * Pray that the Lord will bring forth a strong Idon church for the glory of His name! * Ask the Lord to strengthen, encourage, and protect the Idon believers of Nigeria.